But others wish to possess these items, too. 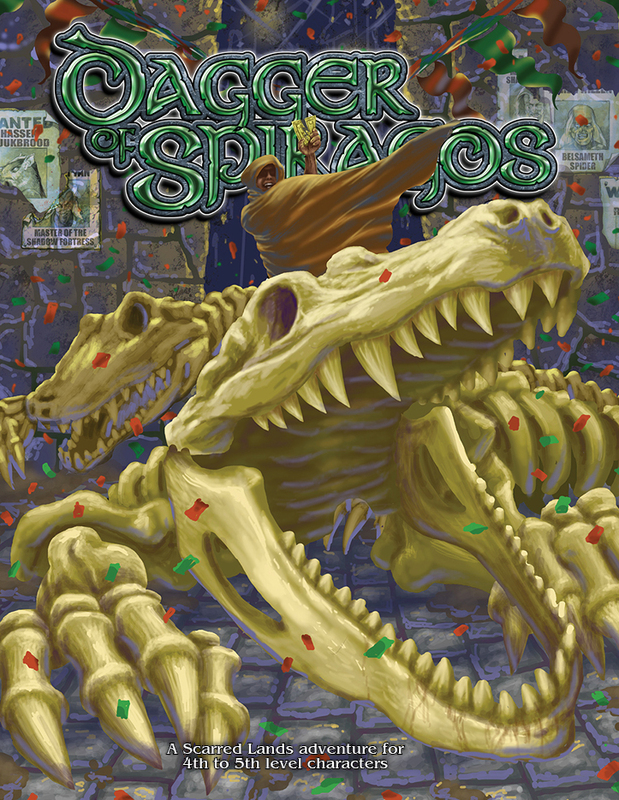 Ring of Spiragos is a sequel to the 2014 Gen Con Special Preview adventure Gauntlet of Spiragos (available as a free download on DriveThruRPG.com and RPGnow.com) and the second installment in the series, Dagger of Spiragos. 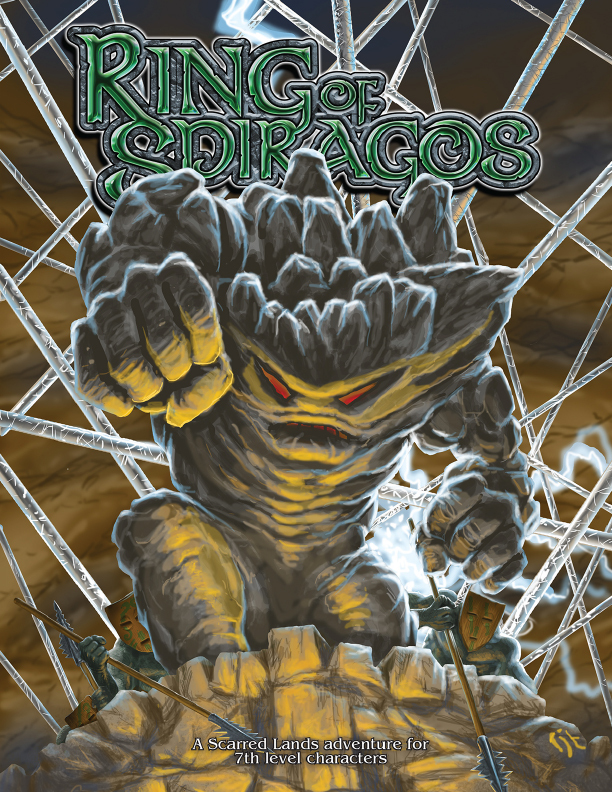 It is the action-packed third and final adventure in the Spiragos Saga. 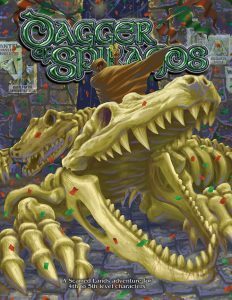 You can now get the entire Spiragos Saga — Gauntlet, Dagger, and Ring — bundled together: Spiragos Saga 5e Bundle and Spiragos Saga Pathfinder Bundle. 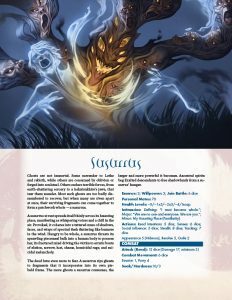 The Lodestar and Susuruss will make fantastic additions to your Exalted game. Khuruga, the Esteemed Minister of Social Unrest, is a busy god, especially in this day and age. He has no time to see to his purview’s promotion, but his ambition demands continued advancement. Fortunately, he has children. Fivefold Masks and Lies is the latest of the chaotic god’s progeny, by way of a mortal supplicant, and they are a willing and eager servant of their divine father. 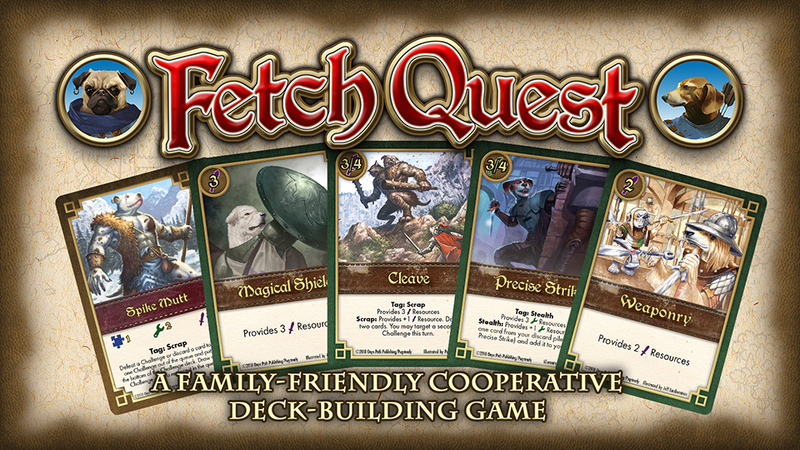 Last week we wrapped up the Fetch Quest deck-building card game Kickstarter! Fetch Quest unlocked for Canis Minor community content. Create your own cards! 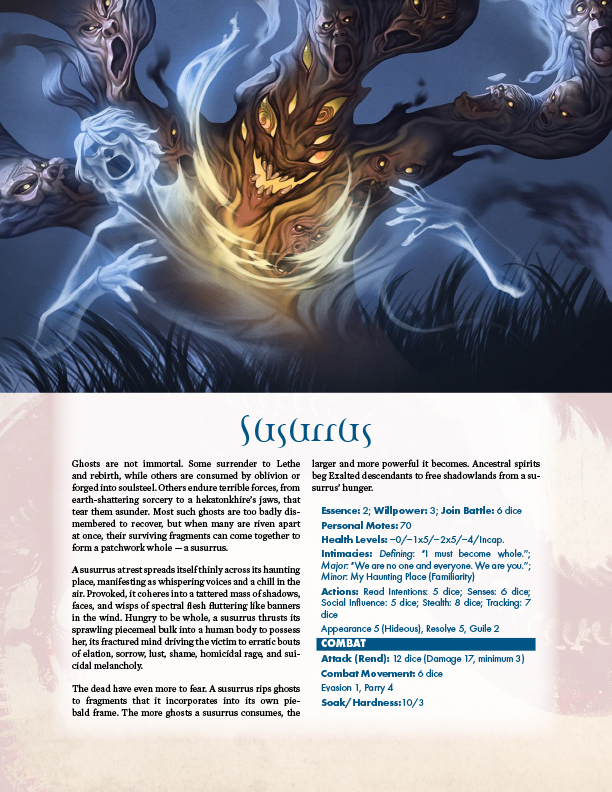 By this time next week, we’ll have launched the Kickstarter for Geist: The Sin-Eaters 2nd Edition. I’ve loved the Exalted stuff, but noticed that sometimes since they’re small you can basically see the whole thing by using the Preview.